Roisin Fitzgerald and Ciaran 'Dug' Doyle from Co. Wicklow first met on a night out Aughrim. 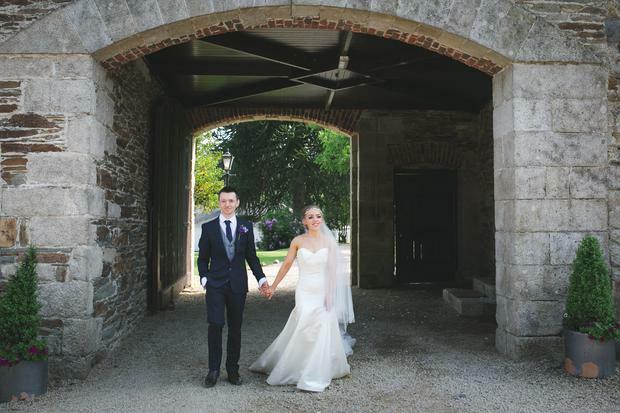 The pair became friends, bumping into each other in their local Ballymanus and spending more and more time together until one night they sealed the deal with a kiss: "it all went so smoothly from there and just felt right," recalls Roisin. As far as popping the question goes, Ciaran played a blinder with his surprise proposal. The couple were painting the walls of their new house when he asked Roisin if she fancied taking a break by heading out on a bike ride, simple enough. "I was reluctant at first as we had had a little bit of a tiff that morning but I knew he was quite eager and I didn't want to be stubborn so we headed out in Ballymanus. I was moaning at first saying things like 'why are we going this way, this hill is so hard'...but I then softened up with the beautiful scenery. He insisted we keep going and eventually we pulled in to a gorgeous view." As soon they were off the bikes, Ciaran was down on one knee asking her to be his wife: "we both laughed and cried together". To top it off, Ciaran stealthily pulled out a bottle of champers and a pair of flutes he had hid in the bushes earlier that morning (remember that tiff they had earlier in the day?!) and the two shared a few sips before heading back to share the news: "Dug still will not let me live it down how quick my little legs biked back to tell our good news to all our family and friends!" 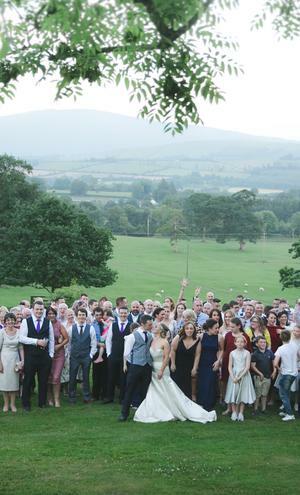 They tied the knot at Ballybeg House in June, their humanist ceremony officiated by celebrant Amy Brown. 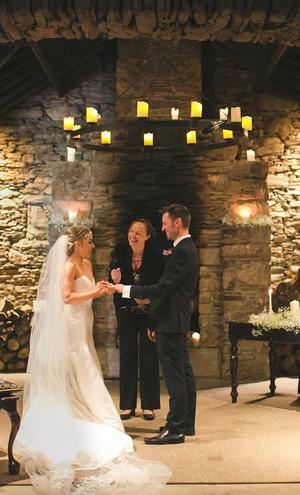 The day was inspired by the beautiful setting of Ballybeg, a venue Roisin says was "everything I had wanted for a wedding." 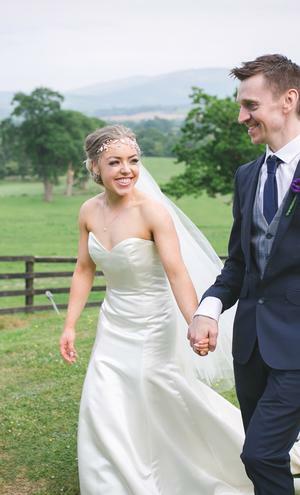 As wedding dress shopping goes, Roisin's experience was as straight-forward as they come, and despite thinking it would take time to source a style that suited, she found 'the one' on her very first outing. "Myself and my mam headed to The White Room in Mullingar for an appointment I assumed would just be to tease out what suited me and what didn't. I never in a million years thought I would get my dress on the first outing but that was it - one day, and the second dress I tried on I knew was the one for me." 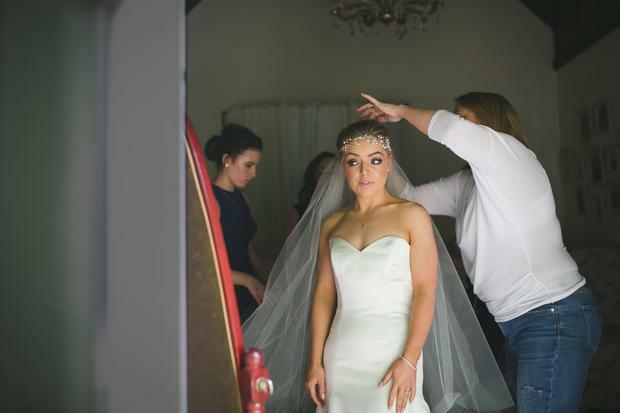 Roisin completed her look with a headpiece in Folkster in Kilkenny and a veil which she had shipped over from America. 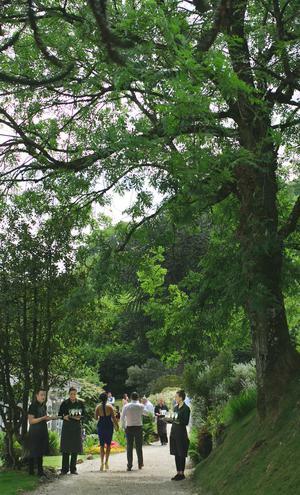 Her bridesmaids' dresses were from Jarlo London: "I loved the bridesmaid dresses. The girls just looked amazing on the day." 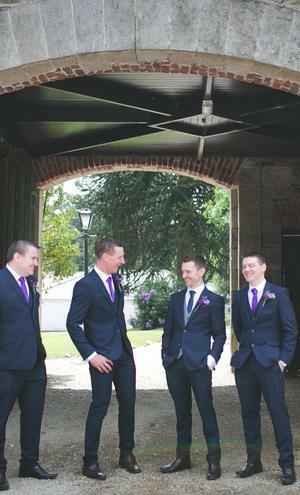 Ciaran's groomsmen's suits were from Jack Dunne and Son in Gorey: "We went there with the intention of renting the suits," explains the bride, "but then of course I was taken with the more fitted suits that weren't available for hire! "When Dug tried one on, it was like 'Yes, we have to have them'. They were so stylish and modern and the navy was to die for! As my Mam said, he would give Daniel Craig a run for his money." The couple bought the groomsmen their suits as a gift - "they did not complain!" 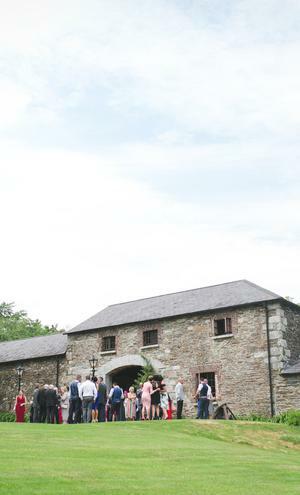 The couple decided to visit Ballybeg House on recommendation from Roisin's mother, who had attended a wedding there and been very impressed. Owner Paddy O'Toole showed the couple around and they were instantly taken with the place. I have never got such a feeling when walking around Ballybeg as this is just everything I have ever wanted for a wedding and it was so us. I literally said I feel like I always wanted to get married here and I didn’t even know it was here. 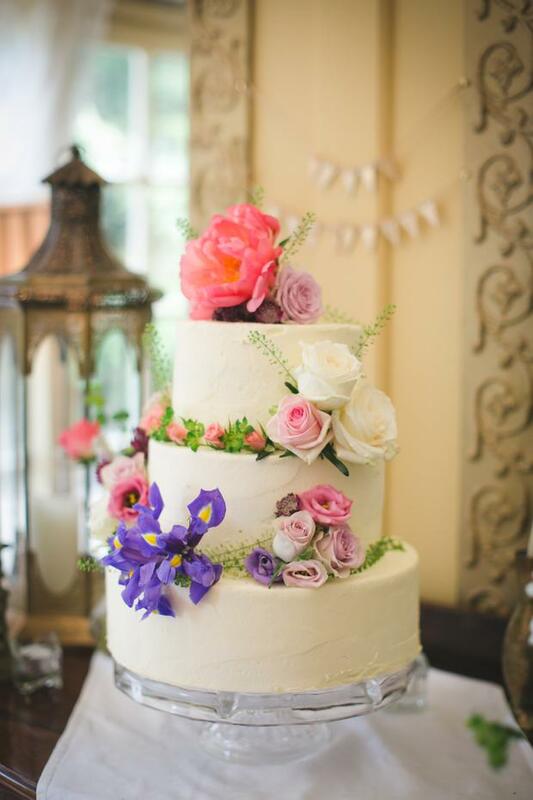 "When we entered the ceremony room I gasped. It literally took my breath away." "By the end of the tour, we looked at each other before turning to Paddy to ask if he had our date. He laughed and said 'do you want to go away and think about it?' which we did, but we didn't look anywhere else. We knew this was the venue for us!" 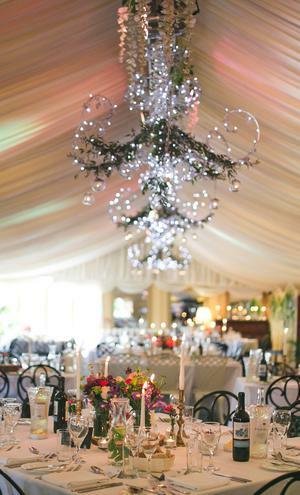 The couple's wedding theme was entirely inspired by their surroundings in Ballybeg, and they didn't feel the need to go overboard with decor for the day. Nevertheless they wanted to put their own stamp of things, and enjoyed bringing their ideas all together. 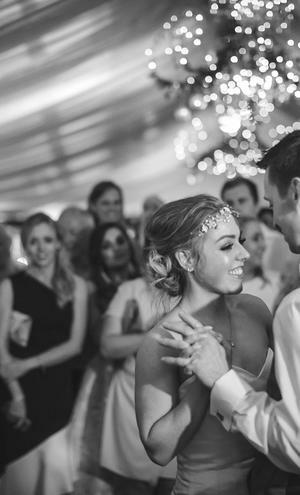 "To say we enjoyed the planning is an understatement," says Roisin, "I just loved every minute of it. "The wedding co-ordinator Tee is extraordinary to say the least. She told us we didn't have to buy anything extra, to leave it all to them, and it's like she takes on your vision and creates your day how you have always envisioned it. The couple did add one or two extras to the day however, including a bubble machine which went down a treat with both the kids and the adults, and a fabulous fireworks display later in the night: "One of my clients had told me that their uncle had fireworks at his wedding in Italy and my Ferrari brain immediately started racing. I went home to Dug with this idea, fully thinking that he would shoot me down and tell me where to go, but he thought it was a great idea so we ran with that and told no one. It was our little secret!" "This might sound soppy," Roisin says, "but my favourite part of the day was how much fun myself and Dug had. 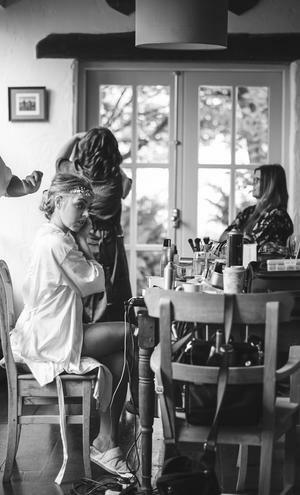 "I loved the morning with my mam and bridemaids. We were so relaxed - I started the day off in the hot tub! The ceremony was so special too - when I standing outside ready to go in, linked to my dad and Feels Like Home, our entrance song, came on, I started welling up. I looked over at dad and he was crying, we cried a little together. I will never forget that moment and that feeling of emotional love, nerves and excitement. "Myself and Dug literally laughed all day and all weekend, surrounded by all our friends and family. We felt such love from all the people who came from abroad for our wedding and just laughed all day. That is what I will take from the weekend and will always remember." 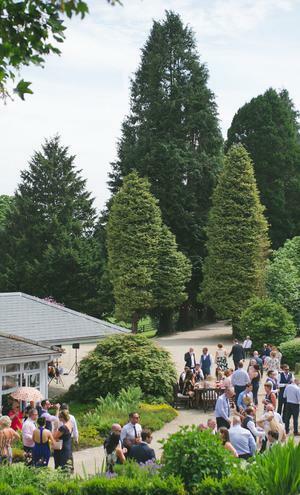 The wedding was catered by Molly's Larder, the venue's preferred caterers: "People could not stop talking about the food, myself included," says Roisin, "they're still talking about our amazing black pudding starter." "We felt like we were eating in Avoca, which makes sense as it turned out one of the head chefs was the head chef in Avoca - hence why it was tasted that good!" The couple brought in Adventure Catering to provide something a little different for the evening food. "They were amazing and the food was so tasty," says Roisin. "When the band went for their break we asked everyone to go outside. 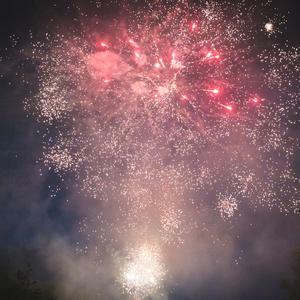 First they grabbed some rub from the food truck and then our fireworks started going off! The display was out of this world. It went down unbelievably well." 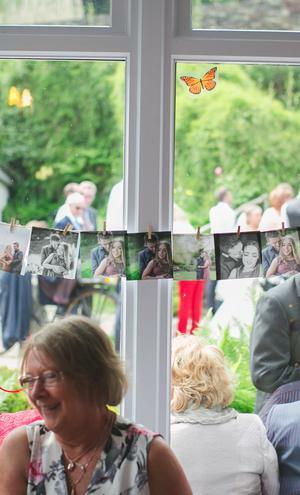 Roisin's top planning advice for other couples? "Do it together," she says. 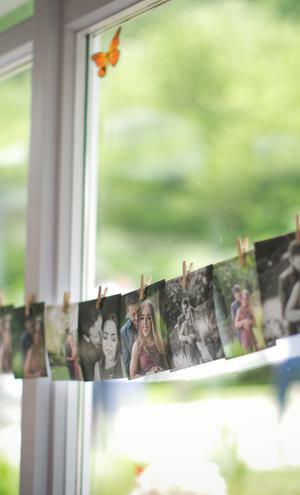 "I loved how we planned our day and weekend together - it made it more 'our wedding'. We each had our strengths and weaknesses and we worked with that but there will never be a 'the man does nothing, he just turns up' stuff. Neither of us wanted that." 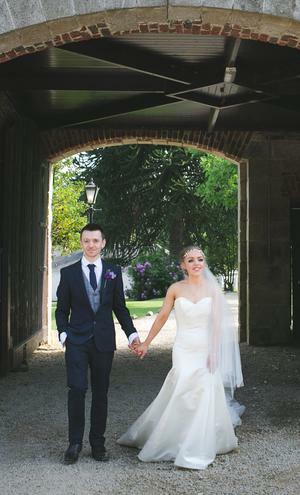 Roisin and Ciaran will honeymoon in Thailand and Vietnam in early 2019. "I initially decided to wait because of my business, but it has worked out so well that we now have that to look forward to," says Roisin. "It's so exciting! It's not over yet!"